On S.W.A.T. Season 1 Episode 22, a fake 911 call puts the team on the hunt to stop a terrorist group from executing bombing attacks on local communities. 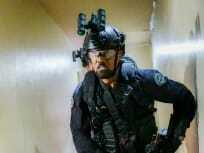 On S.W.A.T. 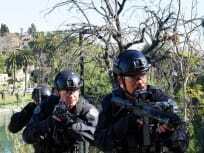 Season 1 Episode 21, Hondo and Deacon must apply all their SWAT skills to evade a gang of armed mercenaries hunting them in the Angeles Mountains. On S.W.A.T. Season 1 Episode 20, Hondo's life is endangered when his bosses and his godson's kidnapper, Jae Kim, discover he's been secretly surveilling Kim. On S.W.A.T. Season 1 Episode 18, the team works as patrol officers for a day and Chris is partnered with Mumford, who plans to make her a surprising offer. On S.W.A.T. 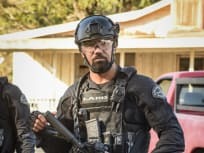 Season 1 Episode 17, Hondo and SWAT work to de-escalate a hostage situation in which an ex-convict is holding a local family captive. On S.W.A.T. Season 1 Episode 16, when a young heiress is kidnapped, Hondo and the SWAT team go on a citywide search to bring her home before she is harmed. On S.W.A.T. Season 1 Episode 15, Hondo's criminal informant friend is killed while investigating a robbery crew that a joint task force is trying to capture. On S.W.A.T. Season 1 Episode 14, Hondo worries that Buck Spivey is spiraling into depression, while the team goes on the hunt for a serial killer who escaped. On S.W.A.T. Season 1 Episode 13, when the president of the police commission discovers their affair, Hondo and Jessica's relationship comes to a crossroads. 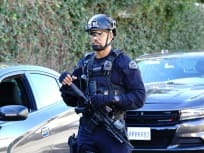 On S.W.A.T. Season 1 Episode 12, the team is on a manhunt to find members of a militia group planning a domestic terror attack by weaponizing cyanide. On S.W.A.T. Season 1 Episode 11, Hondo teams up with an old DEA friendon a task force aimed at unmasking the secret leader of a fentanyl drug smuggling ring. On S.W.A.T. 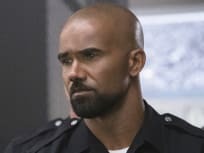 Season 1 Episode 10, when the team goes inside a prison riot to rescue hostages, Hondo suspects the inmates have ulterior motives for the uprising. On S.W.A.T. Season 1 Episode 9, Deacon steps up to lead the team in finding a robbery crew when a misconduct complaint gets Hondo taken off active duty. On S.W.A.T. Season 1 Episode 8, when a drug cartel is out for blood after their gold bars is stolen, the team are forced to work over their Christmas vacation. On S.W.A.T. 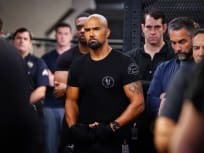 Season 1 Episode 7, the team ends up in contact with a new local crime outfit when Hondo's friend asks him to protect his son from gang violence. On S.W.A.T. Season 1 Episode 6, Hondo allows Jim Street to go undercover as a broker in a luxury car theft ring to bust a ruthless trafficker. On S.W.A.T. 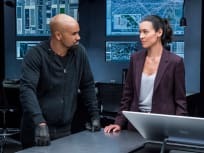 Season 1 Episode 5, a series of home invasions are committed by SWAT imposters in an upscale neighborhood, but the victims may be hiding something. 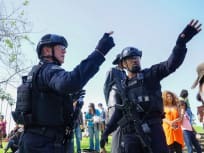 On SWAT Season 1 Episode 4, when a bomber dies in a Highland Park explosion, the SWAT team races to find the man's partner before more devices detonate. 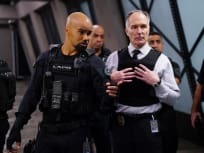 On SWAT Season 1 Episode 3, newcomer Jim Street jeopardizes his spot on Hondo's team when he agrees to do a favor for his incarcerated mother. 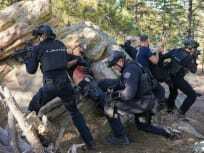 On SWAT Season 1 Episode 2, the team are in pursuit of four escaped convicts, before department rival Mumford and his team beat them to the collars. S.W.A.T. Sneak Peek: Street Goes Undercover!! !